WA.PKS sluice gate valves block water flow up to door height. Flow control in water channels between two water bodies. 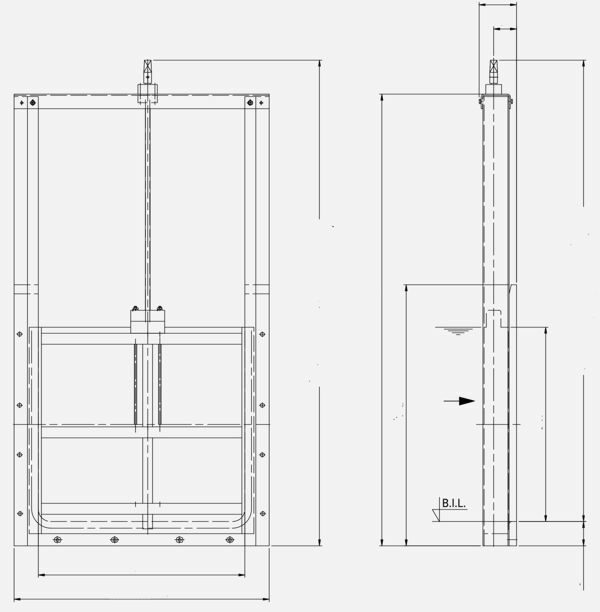 On-seating pressure water column are equal to the height of the sluice gate door (DH). Off-seating pressure designs are available to meet requirements. Sluice gates, HDPE material builds with 316L frames, regulate water flow. They block water flow up to the door door height. Sluice gates are designed for specific sizes and applications. Contact us: Westatlantic Tech Corp., 902 455 4455 .